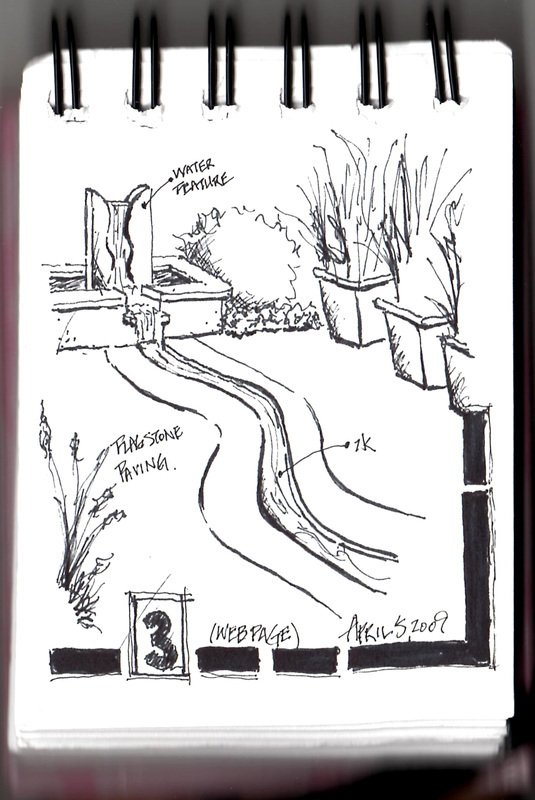 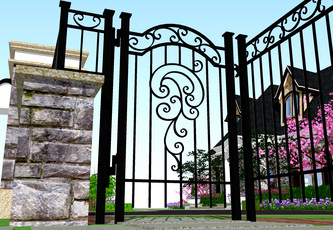 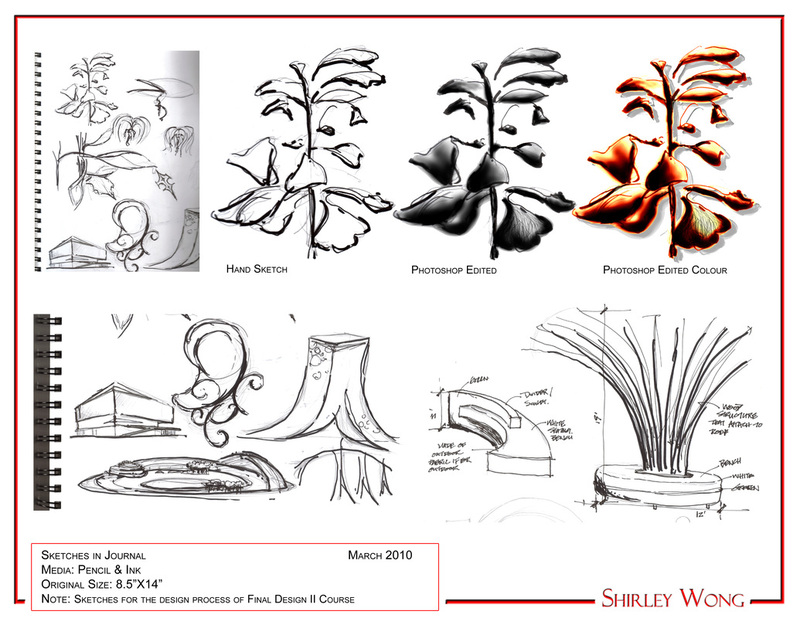 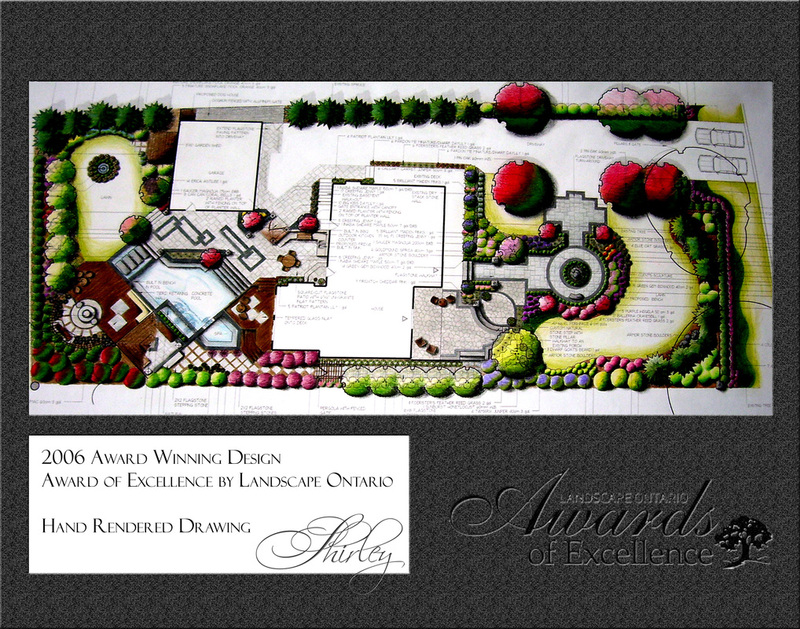 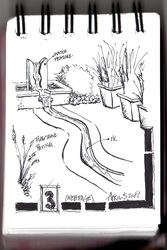 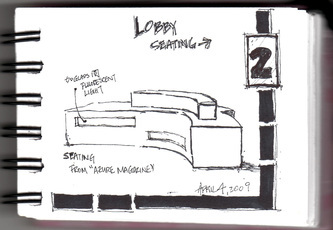 When I first got to know design, I learned from landscape designing. 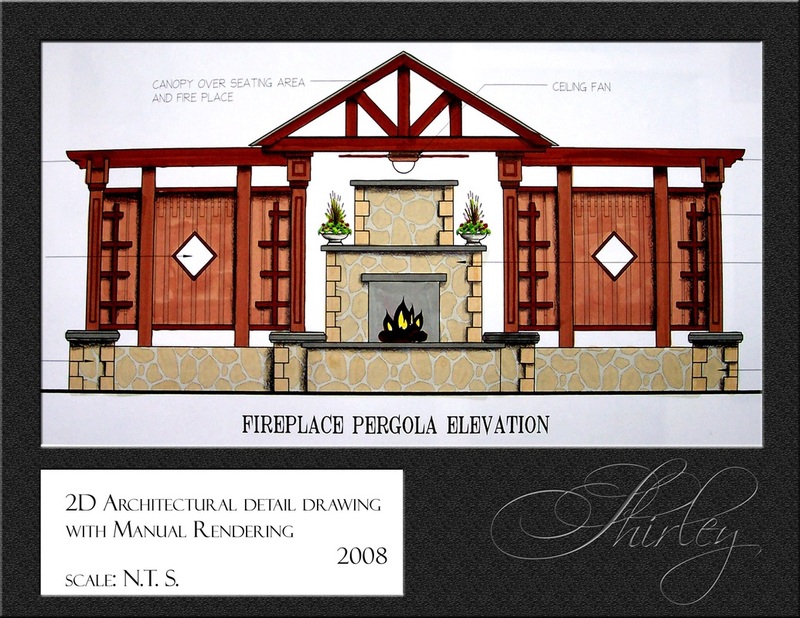 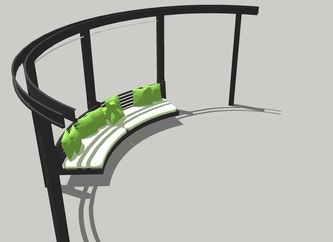 8 years of designing backs me up to any challenges I have today from both interior and exterior designing. 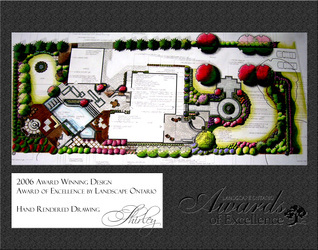 Many people had the concept of landscape design is just drawing gardens with beautiful flowers... well no, not really, we do much much more than that, in fact, selecting the plant materials that will survive different environment is a set of knowledge that is beyond any home gardening or do it yourself landscape, and that is part of the knowledge that I picked up within my 8 years of experience. 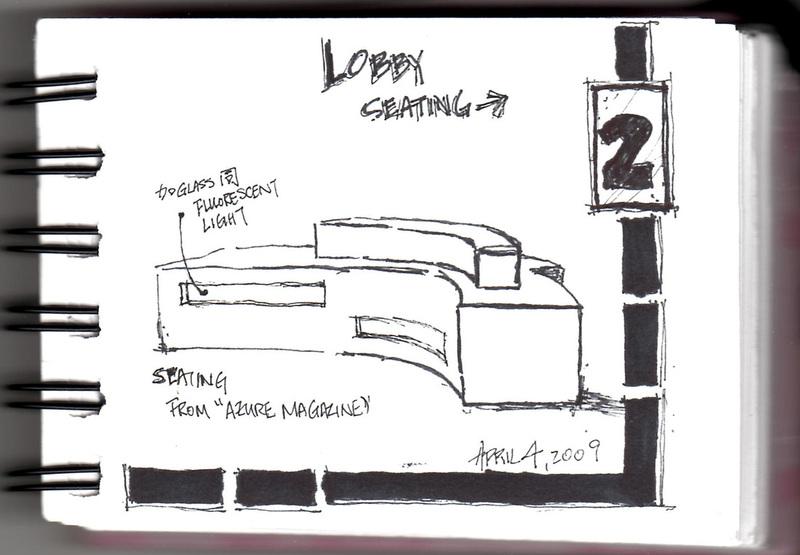 This is a concept that had been revised a number of times due to the limited space allowing for creativity in between the floodplain and the offset of the building. 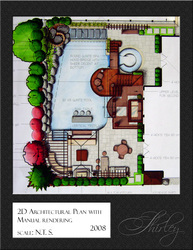 There is also a limited maximum square footage for covered areas allowed on the property such as a cabana that the client had requested. A challenge to fit all what the client had ask for in 215 sq ft of covered space was raised, my knowledge in interior helped me solved the problem. 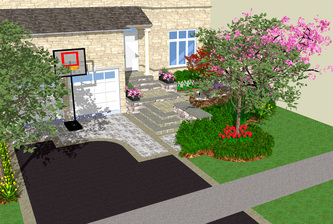 Typical home in Toronto usually don't have the spacious back yard except for a multi-million dollars home, the spaces that the builders always cut out is the backyard, so that they can build more houses within their neighborhood. 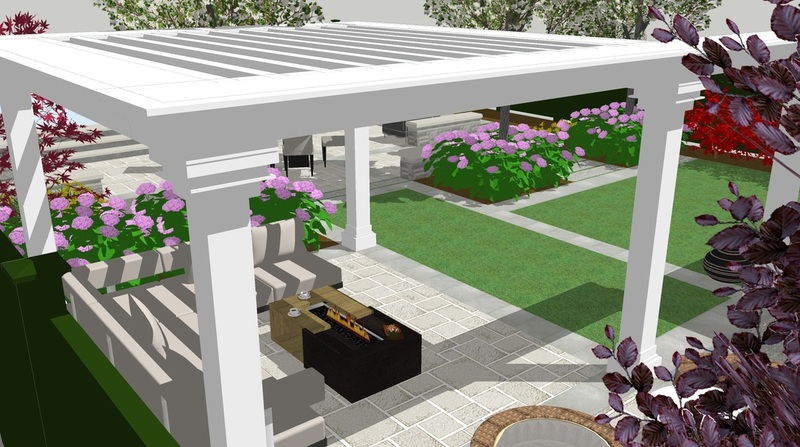 Since an outdoor living space is popular now, many home owners demanded much more functions than just a simple garden in their backyard. 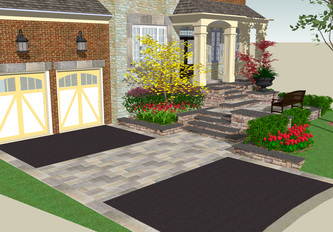 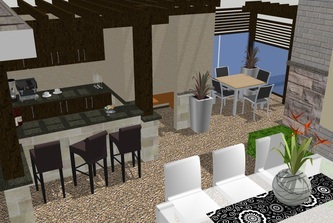 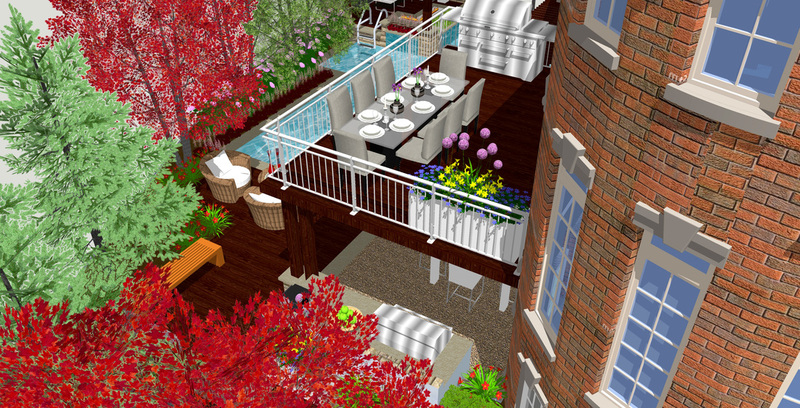 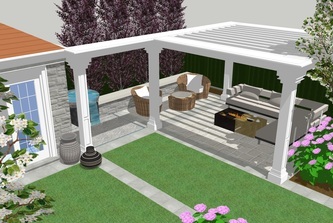 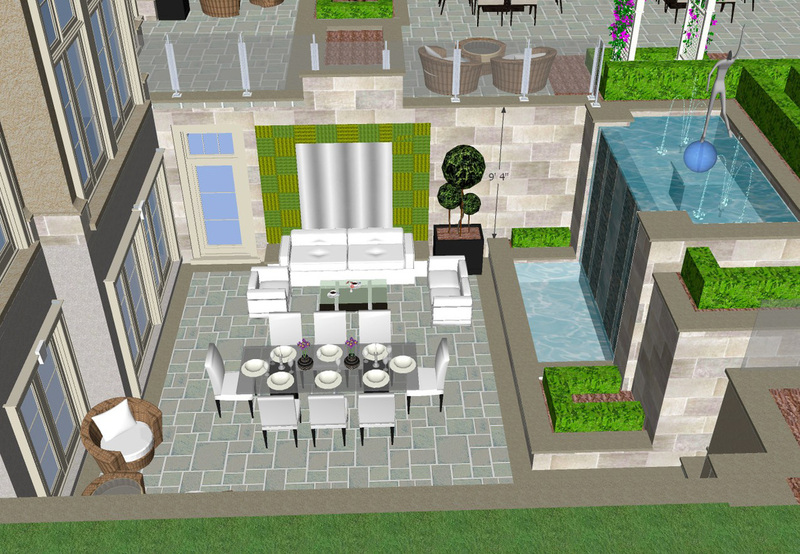 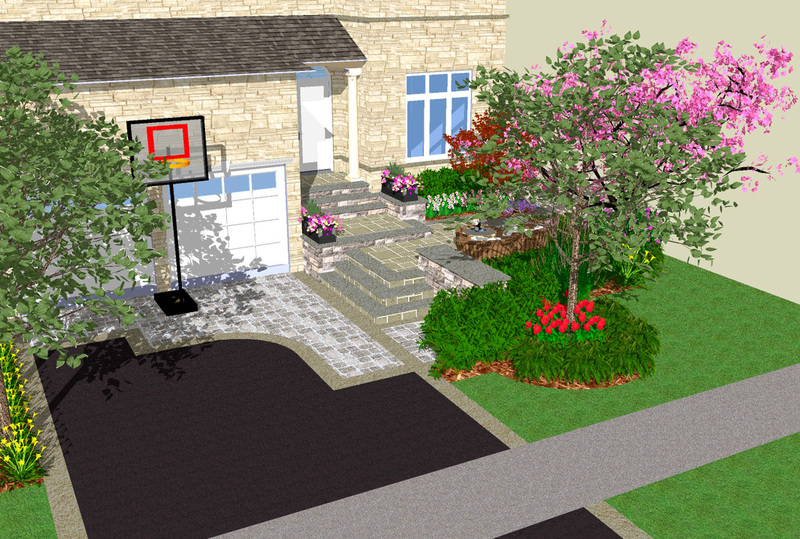 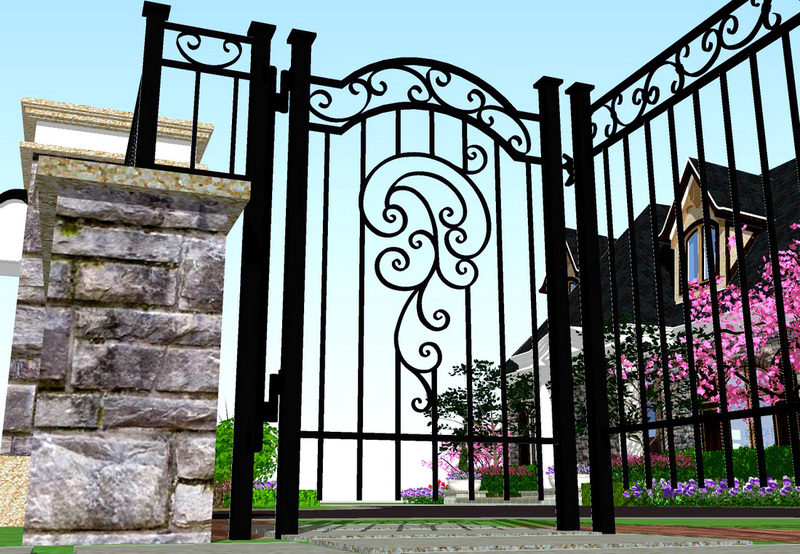 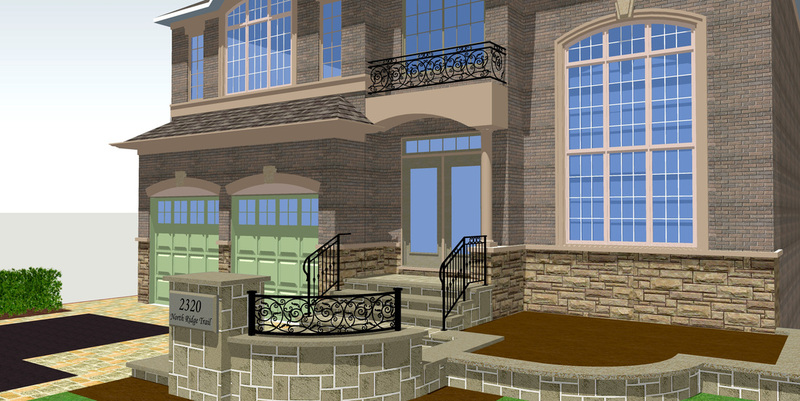 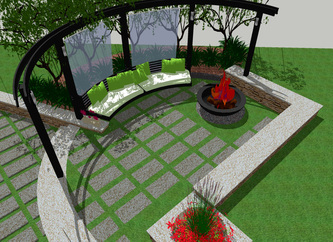 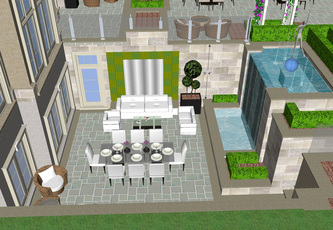 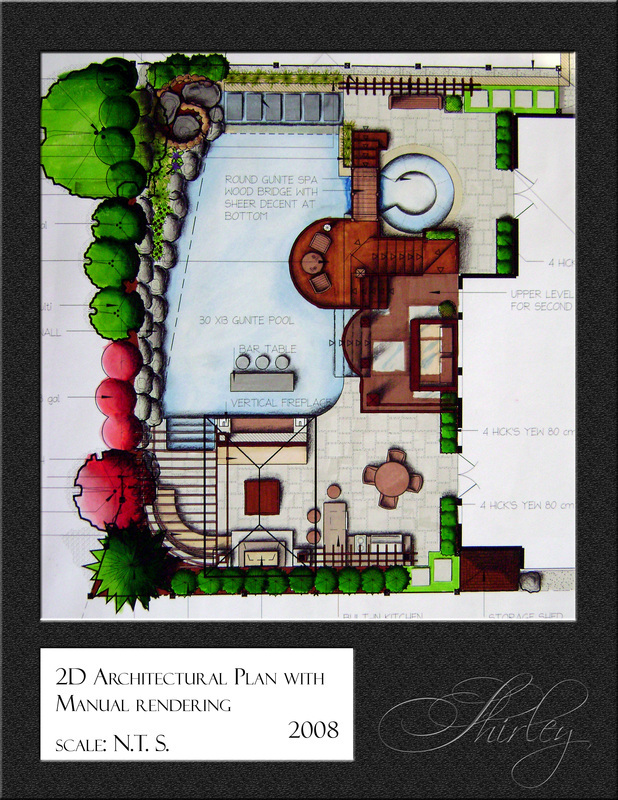 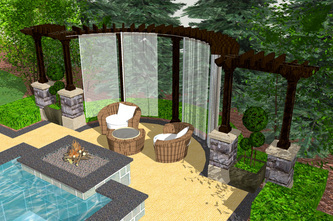 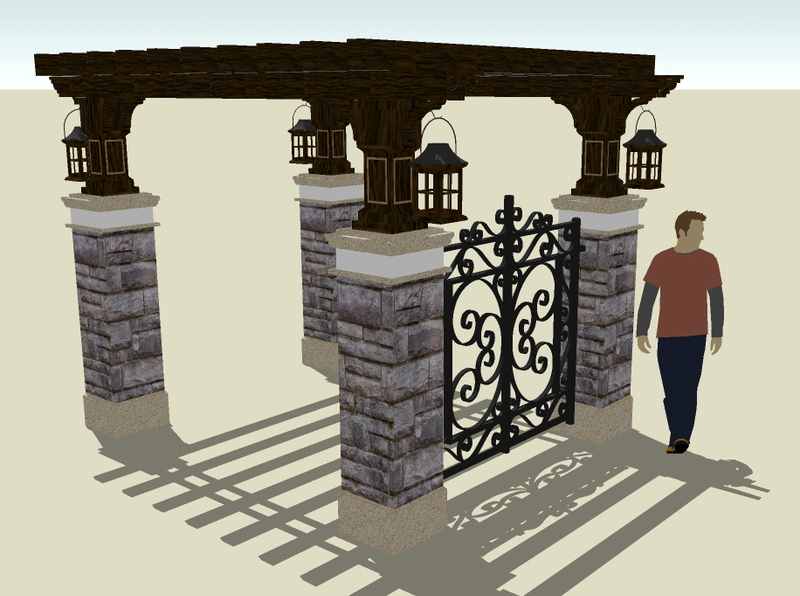 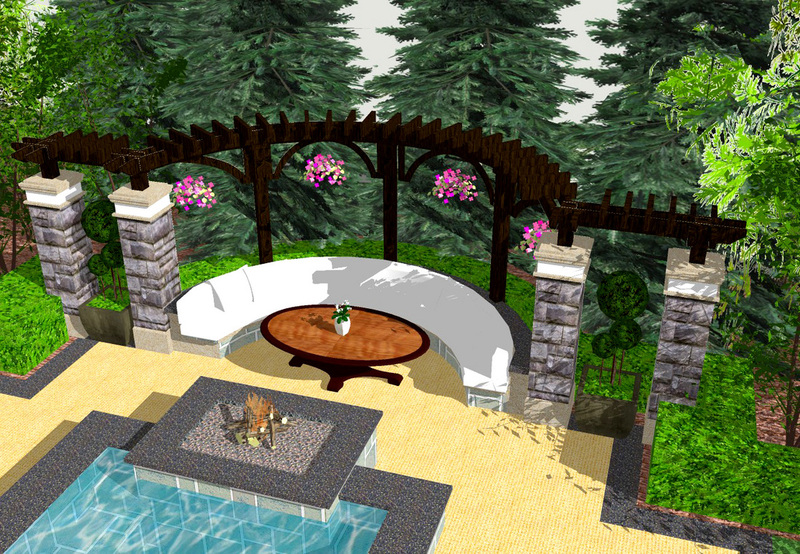 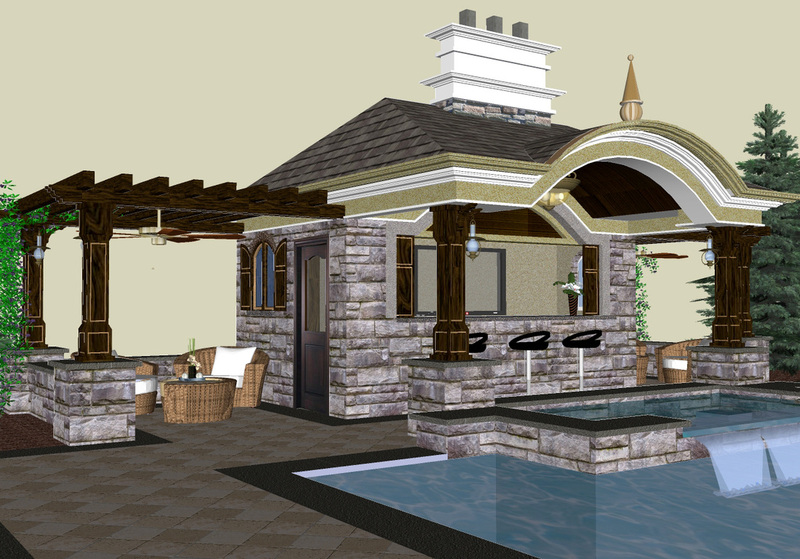 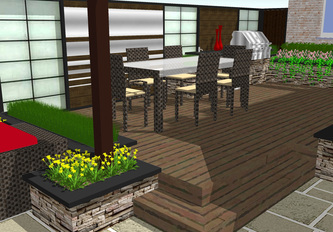 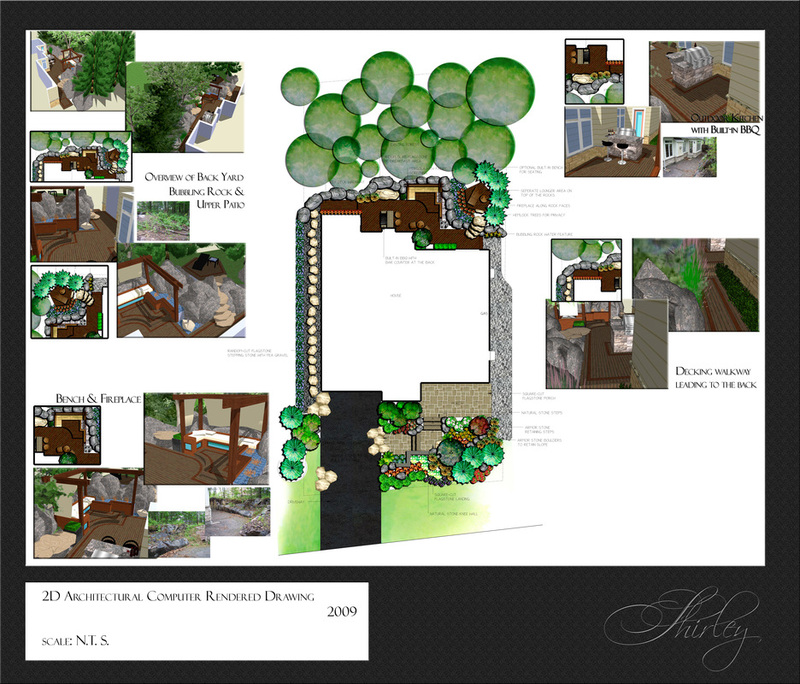 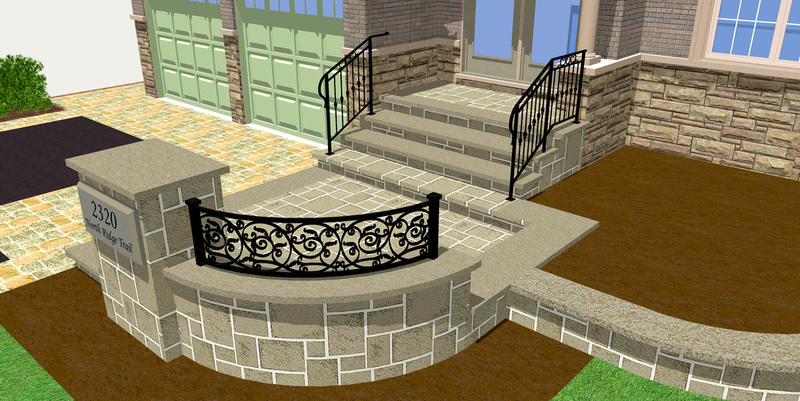 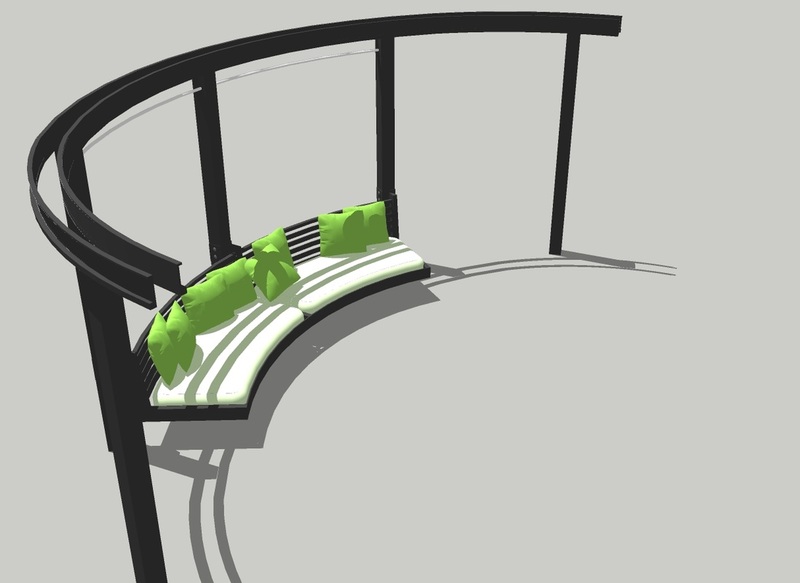 This is one of the project that I designed to fit in everything within a typical back yard.